I'm a web developer and while most of my projects use a local webserver like YAWF's test_httpd.pl or PSGI/Plack's plackup, some projects require special domain names to determine the correct configuration for this zone/installation/whatever. I can't change this for some reasons, but still want to run my local webserver for development without setting up virtual servers on my laptop. I started adding those names to /etc/hosts and let them point to 127.0.0.1 but it turned out that either /etc/hosts doesn't support wildcards or I am too dump to find out how. DNSmasq is reading a config file on startup which may easily take my configuration but the NM is writing it's own config file and DNSmasq supports only one. I though about extending it lateron and let DNSmasq reload the file - but reloading config isn't supported my DNSmasq. Here is a quick-and-dirty walkaround for the the problem. 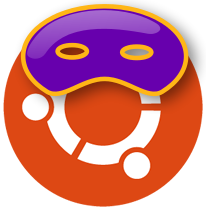 It will stop to work on any OS or DNSmasq update, so you need to redo it after upgrading Ubuntu but it will work in case you can't (or don't want to) wait for a clean solution. Which will redirect all requests to any domain ending with .dev.internal (like www.dev.internal) to my local computer.